It seemed like only yesterday, the Pittsburgh Steelers were checking in for their first day of training camp. 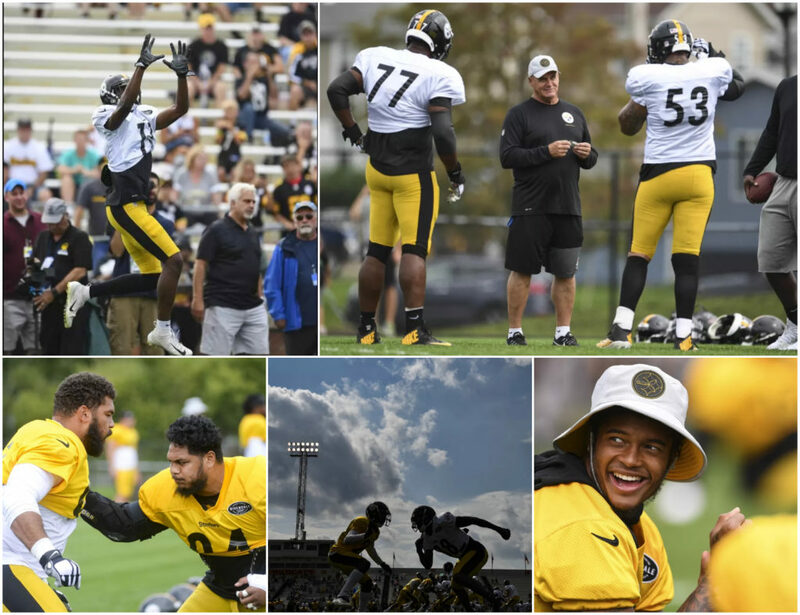 This afternoon’s padded session at Latrobe Memorial Stadium was their last open practice session, leading into their second preseason game against the Green Bay Packers. This afternoon’s session was short but eventful which included the following storylines; a cornerback’s misfortuned turned into another receiver’s fortune, a rookie quarterback running the ‘two-minute’ drill and the signature scare of this year’s training camp. So Steelers fans, let’s go! 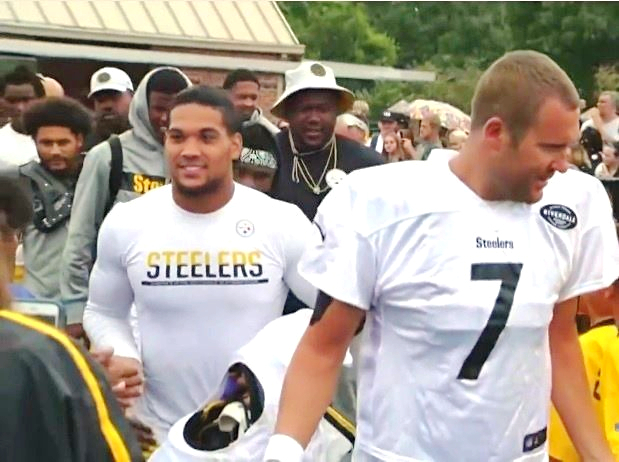 Arguably the most important injury of training camp involved starting quarterback Ben Roethlisberger. As detailed by famed Steelers reporter from the Pittsburgh Post-Gazette Ed Bouchette, the incident occurred during the ‘seven shots’ drill when Roethlisberger fell down after throwing a pass. 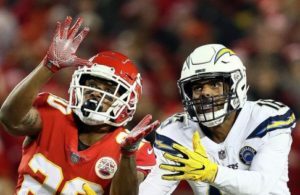 Steelers reporter Dale Lolley of DKPittsburghSports further detailed that the pass was intended for receiver Juju Smith-Schuster and in the process of dropping back, may have had his foot stepped on. After several minutes face-down on the turf holding his head, Roethlisberger managed to get up and leave on his own power with trainers beside him. Roethlisberger’s injury scare aside, several Steelers player returned for this last open practice session. Outside linebacker Bud Dupree returned after being on concussion protocol following their ‘Friday Night Light’s practice back on August 3rd. Speaking of linebackers, Anthony Chickillo also returned to practice after being out the last few sessions. As for outside linebacker TJ Watt, he was seen going through warm-ups and jogging alongside fellow injured tight end Xavier Grimble as reported by “Locked On Steelers” host Tony Serino. 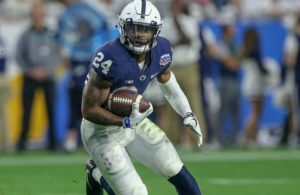 Lastly, safety Sean Davis and rookie safety Marcus Allen both were in attendance but did not partake in this afternoon’s session according to Serino’s report. Aside from veteran guard Ramon Foster who has been out since day 3 and tight end Vance McDonald, everyone else fully participated. Prior to Roethlisberger’s injury, the offense had a commanding lead in the ‘seven shots’ drill according to Serino’s report. In the final installment of cornerback Artie Burns Jr vs receiver Antonio Brown training camp rivalry, Burns watched an interception slip through his hands and land Brown’s arms as described by Serino. Burns’ mistake turned into Brown’s good fortune. Senior Steelers writer Mark Kaboly had rave reviews for Smith-Schuster’s performance this afternoon. Rookie quarterback Mason Rudolph likely saved his best performance for this final day of open practice sessions, notably during the ‘two-minute’ drill. According to Serino’s report, Rudolph hit Smith-Schuster several times during the drill which included a touchdown pass to him. By all accounts, Rudolph is seemingly getting more comfortable with the speed of the game, becoming more efficient with every through. As Serino pointed out, Rudolph was completing passes against the first-team defense. ← Previous Story Cap Class: Did Ramon Foster’s Injury Hurt His Chances at Another Contract?